I am a priest in the Church of Ireland (Anglican), the Priest-in-Charge of the Rathkeale Group of parishes, and Director for Education and Training in the Diocese of Limerick and Killaloe. The Rathkeale Group of Parishes includes Holy Trinity Church, Rathkeale, Saint Mary’s Church, Askeaton, and Kilcornan (Castletown, Pallaskenry), Co Limerick, all in Diocese of Limerick, and Saint Brendan’s Church, Killnaughtin, Tarbert, Co Kerry, in the Diocese of Ardfert and Aghadoe. In February 2017, I became the Canon Precentor of Saint Mary’s Cathedral, Limerick, Saint Flannan’s Cathedral, Killaloe, Co Clare, and Saint Brendan’s Cathedral, Co Galway. I have been the Lecturer in Anglicanism, Liturgy and Church History in the Church of Ireland Theological Institute, and an Adjunct Assistant Professor in the University of Dublin (Trinity College Dublin), and continued to lecture in CITI until the end of the academic year in 2017. I have also been the Director of Spiritual Formation, the Church of Ireland Theological College, a Visiting Lecturer in Anglicanism in the Mater Dei Institute (a college of Dublin City University), and have taught at or supervised dissertations for All Hallows’ College, Dublin, Saint John’s College, Nottingham, the Open University, Chester University, Saint Patrick’s College (Pontifical University), Maynooth, the National University of Ireland Maynooth (now Maynooth University), Saint Patrick’s College, Drumcondra (a linked college of Dublin City University), Edgehill Theological College (Belfast) and the University of Limerick. I once taught Islamic and Byzantine studies at the Maynooth extension campus in Saint Kieran’s College, Kilkenny, lectured at the Durrell School of Corfu, and I have taken part in programmes organised by the Diplomatic Academy, Vienna, the Institute of Global Economics, Seoul (Korea) and University College Dublin. For many years, I worked as a journalist with the Lichfield Mercury, the Wexford People and The Irish Times, where I was Foreign Desk Editor for eight years until 2002. I received a fellowship in 1979 from Nihon Shimbun Kyokai and Journalistes en Europe to study journalism in Japan. I have studied theology at the Irish School of Ecumenics, TCD, the Kimmage Mission Institute, and Maynooth, with further studies in patristics at the Institute for Orthodox Christian Studies (Cambridge) and in Liturgy and Latin at the Institutum Liturgicum (London). I hold a BD from Maynooth, a Postgraduate Diploma in Ecumenics from Trinity College Dublin, and certificates from the IOCS, Cambridge, the Institutum Liturgicum, London, and NSK, Tokyo. I studied Muslim-Christian dialogue at the former College of the Ascension in Birmingham (1996), received a grant to study politics and economics in South Korea (1997), trained for ordination in the Church of Ireland Theological College (1999-2000), was awarded the Oulton Prize for Patristic Studies (2008), and took part in an inter-faith training programme at Saint Philip’s Centre, Leicester. I am a member of the General Synod of the Church of Ireland, and a former canon of Christ Church Cathedral, Dublin (2007-2017), where I was a member of the board and chapter until 2017. I have also been a member of the Standing Committee of the General Synod, the Commission for Christian Unity and Dialogue, the European Affairs Working Group and the Anglican Affairs Working Group. I was the chaplain to the Anglican Primates’ Meeting in Dublin (2011), the Porvoo Consultation on Diaconal Ministry in Dublin (2013), and the annual conference of the Friends of the Church in China and the China Forum of CTBI (2006). I have been the Select Preacher at the University of Dublin (Trinity College Dublin) and I have preached in Christ’s College, Cambridge, and Sidney Sussex College, Cambridge. I have also worked with some of the main Anglican mission agencies. I am a trustee and member of the council of the Anglican mission agency USPG (the United Society Partners in the Gospel). At different times, I have been chair and secretary of the Dublin University Far Eastern Mission (DUFEM), chair of the Association of Mission Societies, chair of the Church of Ireland Press, publishers of the Church of Ireland Gazette, and served on the board of the National Bible Society of Ireland. My publications include: A Romantic Myth? Kilcronaghan’s link to ‘Zorba the Greek’ (Tobermore, 2009); Reflections of the Bible in the Quran: a comparison of Scriptural Traditions in Christianity and Islam (Dublin: National Bible Society of Ireland, Bedell–Boyle lecture series, 2008); Embracing Difference (2007); A Brief History of Christianity, ed P. McGarry; co–authors Hans Küng, Desmond Tutu, Mary Robinson, &c, (Dublin: Veritas, 2001); St Maelruain: Tallaght’s Own Saint (Dublin: Tallaght Parish, pamphlet, 1992); Desmond Tutu: Black Africa’s Man of Destiny (Dublin: Veritas, 1987); Do You Want To Die for NATO? (Dublin and Cork: Mercier Press, 1984). In recent years, I have contributed to Christianity (2001), The Laity and the Church of Ireland, 1000–2000 (2002), Untold Stories (2002), The Encyclopaedia of Ireland (2003), The Wexford Man (2007), The Lure of Greece (2007), China and the Irish (Dublin 2009, Beijing 2010), Celebrating the Oxford Movement (2009), Victory or Glorious Defeat (2010), A History of Enniscorthy (ed Colm Tóibín, 2010), Treasures of Irish Christianity, Volume II, A People of the Word, eds Salvador Ryan and Brendan Leahy (Dublin: Veritas, 2013), Callan 800 (1207–2007) History & Heritage, Companion Volume, ed Joseph Kennedy (Callan: Callan Heritage Society), 2013, Treasures of Irish Christianity, Volume III, To the Ends of the Earth, ed Salvador Ryan (Dublin: Veritas, 2015), Death and the Irish, A miscellany, ed Salvador Ryan (Dublin: Wordwell, 2016), and Perspectives on Preaching: A Witness of the Irish Church, ed Maurice Elliott and Patrick McGlinchey (Dublin: Church of Ireland Publishing, 2018). 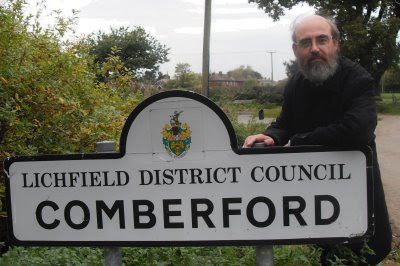 I write a monthly column for the Church Review (Dublin and Glendalough) and the Diocesan Magazine (Cashel, Ferns and Ossory), and I have contributed regularly to the Lichfield Gazette and CityLife in Lichfield. I have been published in magazines, newspapers and books in Australia, Austria, Bangladesh, Belgium, Britain, China, Denmark, Greece, Japan and the US. I delivered the George Hadden Memorial Lecture at the Wexford Festival Opera, ‘Religion in Co Wexford from St Ibar to the Present Day’ (2000), and The Bedell Boyle Lecture, an annual lecture sponsored by the National Bible Society of Ireland, ‘Reflections of the Bible in the Qur’an,’ at the Milltown Institute of Theology and Philosophy (2006). I have spoken at retreats organised by the dioceses or clergy of Clogher, Meath and Kildare, Cashel Ferns and Ossory, Limerick and Killaloe, Tuam, and Glendalough, Bray Churches Together and CMS Wales. My research interests include mission theology, Christian–Muslim relations, Orthodox spirituality, patristics and the role of architecture in creating liturgical space. I have been a speaker, chair, workshop leader and panellist at conferences and seminars in Austria, Denmark, Egypt, England, Greece, Israel/Palestine, Italy, Japan, Korea, Scotland, Sweden and Wales. I am a Fellow of the Royal Society of Antiquaries of Ireland (FRSAI, elected 1987) and a Fellow of the Academy of Saint Cecilia (FASC). I was born on Rathfarnham Road in south Dublin, between a synagogue and a laundry and across the road from a cinema, and went to school in Gormanston, Co Meath. Having lived in my childhood and early adult life in a variety of places, including West Waterford, Co Meath, Lichfield and Wexford, I am now living between Askeaton in Co Limerick and Knocklyon, Co Dublin, just a short distance from where I was born. Of course, I feel at home in Dublin, Wexford, Lichfield, Cambridge and Askeaton ... and in Rethymnon and some other parts of Greece. My personal hobbies and past-times include travel, especially in Ireland, England and Greece, walking on the beach, by rivers and in the countryside, architecture, and local and family history. Many of these interests are reflected in my postings and photographs on this blog. My opinions are my own and do not represent any of the organisations referred to here or in my postings. I am currently a first year student in Mary Immaculate college studying to be a primary school teacher. Currently I am undertaking a project based on the Church of Ireland and I was wondering if I could ask a few questions about the religion? Very interesting website with lots of well-researched material! One correction to your article on Lord Byron. You refer to the Phibsborough Church of Ireland national school at Blaquiere Bridge as being demolished. This is not the case as I now live in it! Blaquiere House (just down from the bridge behind the Library) was demolished in the '60s I believe to make way for a multi-storey carpark in Mountjoy Prison, but the school has definitely survived. I am interested in using a copy of the image on your blog of the view across the river of 18th century Dublin as the front cover of the programme for a performance of Messiah by my choral society. Do you now where I can obtain permission to do this? THERES AN AWFUL LOT OF YOU HERE-IS THERE MUCH MORE TO COME? I am greatly impressed with your writings and photographs on your website on Dr. Johnson. I would like to reproduce two of your photographs - his birthplace and his first school - I would, of course, give you full credit for these photographs and also link your name to your web side. Please note that my website is NOT FOR PROFIT and has been archived by The British Library. I am a retired University Professor and Physician and, although from London, now live in the U.S. I would be grateful for your help in this manner. Charles S.P. Jenkins Ph.D., D.Sc. (LONDON), M.D. I have sent you a private message on your Facebook page, with my personal email address. If you do not find it first time around, it may be in your Facebook filtered messages. Down here in New Zealand, I read your posting everday with keen interest. So does my wife. Thank you. You are the Geoffrey Chaucer, Dr Samuel Johnson and, more so by nationality, the Jonathan Swift, all combined in one, of this present age. I was wondering do you have much history in regard to protestant working in Dublin around 1912 -1918 period? I think it is a interesting part of our history but what is more interesting to understand the lives of those who would be considered on the furthest edge of Irish society in regard to both religion and social class. Did many men from working class communities rise to come clergymen? I am just starting my own research on it and fascinated by the all thing. Please can you help me? A dear friend of mine is getting buried at sea on Saturday 9th April 2016, and we are looking for a hymn that he wants sung. It has the line in it "Go with the saints of God". I notice that you have a hymn by that name and I'm wondering if it is the same one. It goes to the tune "Crown Him with many thorns". If it is the same one, please could you forward the words to me. Thanking you in anticipation. God bless. I was reading your information on an ancestor of mine, the last person to be burned at the stakes in England when I noticed the sidebar with Achill Island listed. My husbands family is from Achille. Such a coincidence to have both families mentioned as we are from California. Also, under Francis Law (b. 1829) and Robert Archie Law (b. 1877), the township name of Tittabawasse should have 1 more e - Tittabawassee. Not sure how to get in touch with you directly. I have been researching my wife's family history for many years and this has included work on the Wyatt family line. Although I doubt that much, if any, of my information on the ancestors and descendants of the Wyatts of Weeford will be new to you, I would be very happy to share what I do have. Yes, but I don't make it available on this site. You can contact me through Messenger or my Facebook page. Hi Patrick, I found your brief account of Kilcash as I was browsing on line and I wondered if you have any historical references that would support your remarks? EG, that Kilcash wood was cut down by the Butler family and the discrepancies in the accounts of who composed the original lament? Congratulations on an extraordinary blog - how you find the time can only baffle the rest of us mortals, although the rigours of a life filing copy must help. I have several family connections to your former workplace, the Irish Times, and four generations of my family are buried in St Marys churchyard, Askeaton. We've been knocking around west Limerick since the 1400s, though in other parts of the country now. We're on a family trip down that way on the weekend after next, to see relations and check up on the ancestors. Dear Patrick (my most favorite Saint and I consider him a dear friend, my son is named after him-Philip Patrick (very stubborn). Your resume is amazing - how did you ever find the time to accomplish all that you have accomplished --studied, written, shared -- etc. etc.?! I am RC in US, Maryland, and will spend the rest of my days (I am 80) following up on all that you have written. God bless you and keep you and may His Face shine on you ! Nancy M.
Hi: I am a Lopdell researcher. A well-known ancestor, County Inspector Francis Lopdell married Charlotte Grey of Greyfort. I am wondering if you have any illustrations of the property or the Greys, given the Comerfords connections with them. Hi: I am a Lopdell researcher. The well-known County Ispector Francis Lopdell married Charlotte Grey of Greyfort. Given the Comerfords connections with the Grey and the property, I was wondering if you had any illustrations of the property or the Grey you could share. Sir, I hit across your blog about Moyvane/Newtownsandes last night. Very interesting. I wonder could you help me in tracing the origin of a little gravestone in Murhur churchyard. The inscription reads: "Marunken Nelly, Died 12 Jan 1802 25 years". I have tried to follow this up but have had no success. I have been following your blog for a number of years (about 2) and enjoy it enormously. I am doing research on my family. As part of this research I contribute to several Genealogical websites. I have also completed 2 DNA tests and from these tests I have received many results that are so vague that it is almost impossible to determine a connection. However, I today received a prospect that I found intriguing. The name given was Switzer and a connection to Courtmatrix (about 2Km from Rathkeale,) Co. Limerick. I have responded to the family but I then realised that with such a name it my be possible to supply more information as remembered a blog of yours in recent months in which you wrote about a local landlord who brought German families into Rathkeale. Can you please send a link? Your blog is a daily read for me. Keep it up. Cavafy's poems have enchanted me since I discovered them many decades ago. You might want to list your favorite movies. Pepe le Moko? Brief Encounter? The Wages of Fear? Le Jour Se Leve? Children of Paradise? How about your taste in popular music? Orchids in the Moonlight? Parlez Moi d'Amour? These Foolish Things? Born to Lose? I Can't Help It if I'm Still in Love with You?